This is how you breath in POW, face shot after face shot of dry blow POW. 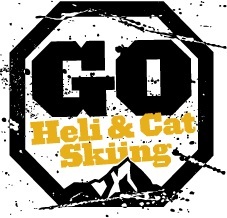 Our heliskiing guests consider skiing untouched piles of fresh powder the ultimate goal, the Holy Grail, and so do we. But with such great gift from Mother Nature comes the big obstacle of sipping air (unless you’ve powderpigged so much that you’ve developed some sort of gills). So how do you breathe while being in the «white room» without suddenly turning blue and having to put a halt to incredible line you were so looking forward to ski and impress your mates with. Our friends at Great Canadian Heli Ski decided to put together a video to show you just how to breath in POW, so enjoy and remember if you get inspired and want to try your breathing technique in POW we got the stuff. This spring we still take booking for Iceland and Alaska and all of our other lodges now take booking for season 2017/2018.